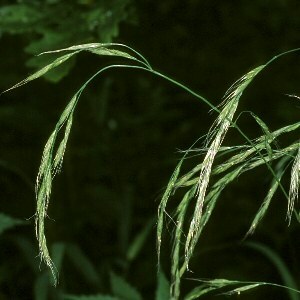 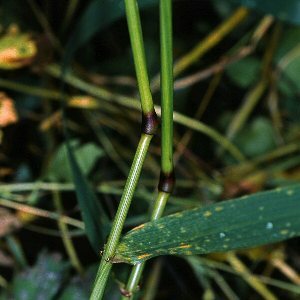 A hairless, tall, perennial grass, found in woods and shady glens, like the somewhat similar hairy brome (Bromus ramosus). 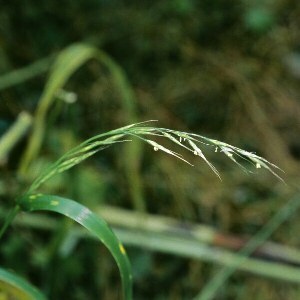 The inflorescence is drooping and carries spikelets of flowers, each with a long awn (bristle). 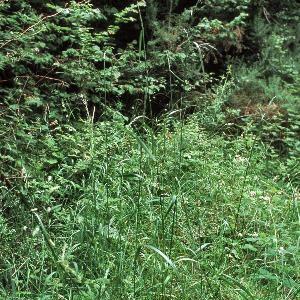 All names: Festuca gigantea (L.) Villars; Bromus giganteus L.